MOSCOW (Sputnik) — The United States is violating the Intermediate-Range Nuclear Forces Treaty (INF Treaty) by deploying in Europe missile defense system, whose launchers might be used for firing Tomahawk cruise missiles at the European part of Russia’s territory, Russian Defense Minister Sergei Shoigu said in an interview released on Wednesday. “We have repeatedly and publicly made it clear in all major international fora that it is the United States that is directly violating the INF Treaty, having installed, during the deployment of a missile shield in Europe, its MK-41 vertical launching systems, which might be used for the launch of Tomahawk cruise missiles. The destructive radius of these missiles covers almost all the European part of Russia’s territory,” Shoigu told Italy’s Il Giornale newspaper. Shoigu added that, at the same time, it was Russia that was accused of alleged violations of the treaty. “The US party is currently preparing its withdrawal from the INF treaty. The reason for such a step is the alleged violations of the treaty by Russia. But there are no facts, only claims,” Shoigu said. The United States is implementing the strategy of neocolonialism, which has already been tested in Iraq and Libya, Shoigu said. “It is about the neocolonialism strategy, which has already been tested by the United States in Iraq and Libya and which consists in supporting any, even the most barbarous ideologies in order to weaken legitimate governments,” Shoigu told Italy’s Il Giornale newspaper. According to the minister, the United States also stages attacks with the use of weapons of mass destruction or humanitarian disasters and, at the final stages, uses military force to create “manageable chaos,” which enables the transnational corporations to extract the existing assets to the US economy. “Russia, which advocates the equal and mutually beneficial cooperation with all the countries within the concept of multipolar world, will always be an obstacle for such strategies’ implementation,” Shoigu stressed. “I am convinced that any issues can and should be settled without the use of military force. I have repeatedly invited the Pentagon’s head to discuss the existing problems of the global and regional security, including the fight against terrorism. But the United States is not ready for such a dialogue,” Shoigu told Italy’s Il Giornale newspaper. “There is only one communication channel between our general staffs now, which is used in negotiations, including at the level of the chiefs of general staff, aimed, first of all, at preventing the military activities of Russia and the United States from turning into a military conflict between our nuclear powers,” Shoigu said. Western countries view recuperating Russia not as an ally but as a threat to the dominance of the United States, Sergei Shoigu stressed. “Today recuperating Russia is being viewed not as an ally but as a threat to the US dominance. We are being accused of some aggressive plans with regard to the West, which, in turn, continues to deploy new forces near our borders,” Shoigu told Italy’s Il Giornale newspaper. 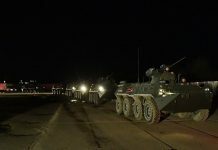 Among such unfriendly steps of the West Shoigu mentioned the recent decision of NATO to establish two new commands, responsible for the protection of maritime communication and the prompt movement of the US troops to Europe, and the increase of the alliance’s contingents in the Baltic states, Bulgaria, Poland and Romania from 2,000 soldiers to 15,000. 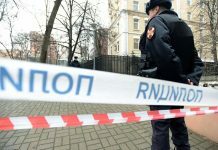 “We often hear from the US that the crisis in bilateral relations has been provoked by Russia’s alleged aggressive actions on the international arena. However, we are firmly convinced that tensions in our relations have been artificially fueled all this time by those US elites, who believe that the world is divided into the US [part] and the wrong [one],” Shoigu told newspaper. Shoigu added that it was the United States that in recent years had unilaterally broke key agreements, which formed the backbone of the global security. The defense minister pointed to Washington-initiated NATO expansion toward Russian borders, despite the promises that were given to the Soviet leadership during Germany’s reunification. “For over 25 years we have been deluded by [claims saying] that there have been no promises, until the National Security Agency declassified archives with the documents of that period, in which it has been set out literally,” Shoigu said. Shoigu has called on the United States, in particular, to explain why US military bases were edging closer to Russia. “I, as president of the Russian Geographical Society, have for a long time wanted to present the US colleagues with a globe so that they would look at it and explain to us, why the ‘US adversaries’ designated by them are located in the Middle East and East Asia, while all their military bases and groups are nearing Russia’s borders,” the minister told the newspaper. Russian officials have repeatedly expressed concern over NATO’s move closer to Russian borders. In May, Kremlin spokesman Dmitry Peskov said, regarding Poland’s wish to have a permanent US military base in the country, that NATO’s advance toward Russian borders did not contribute to the overall stability and security. Peskov added, however, that the decision to host a NATO base was for a hosting country to make. Iran and Turkey are playing key roles in stabilization of the situation in Syria, Russian Defense Minister Sergei Shoigu said in an interview released on Wednesday. “Iran, along with Turkey, has historically been one of the main actors in the region and plays a key role in stabilization of the situation in the Syrian Arab Republic,” Shoigu stated. The United States has not allocated any funds to support civilians in Syria affected by the war, Shoigu said. “Affirming its ‘noble’ objectives and ‘good’ will, the United States has not allocated a cent to provide real assistance to Syrian civilians devastated by long years of war,” Shoigu added. According to the minister, dozens of civilians continue to be killed by munition and mortars left in liberated Raqqa after massive bombings by the US-led international coalition. 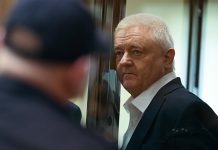 The armed rebellion in Ukraine in February 2014 were preceded by all signs of the United States waging a “hybrid war,” Russian Defense Minister stated. 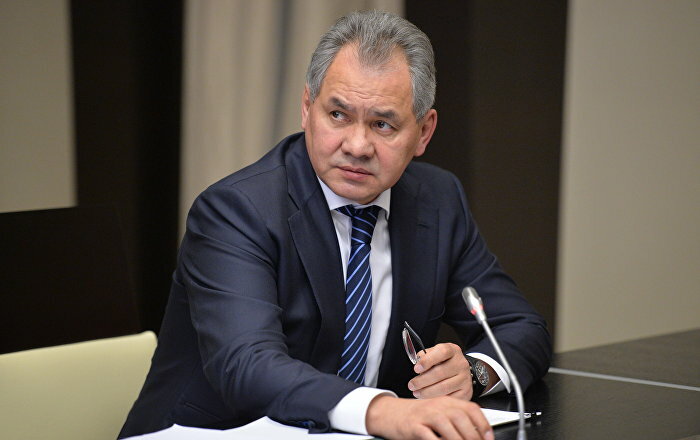 According to Shoigu, the “hybrid actions” refer to various forms of pressure, short of military force, employed by one state against another one, including control over mass media, economic sanctions, the activities in cyberspace, fostering domestic unrest, and the use of specialized groups and specialists to carry out terrorist attacks, subversion and sabotage acts. “Since the 1990s, these methods have been actively used by the United States in former Yugoslavia, Libya, [Russia’s] Chechen Republic and, most recently, in Syria. All the signs of the ‘hybrid war’ were apparent in Ukraine ahead of the armed rebellion in February 2014, with the European countries’ passive participation in these ‘hybrid actions,'” Shoigu stressed. The necessary prerequisites for carrying out such campaigns include control of media with a global reach, possessing superior telecommunications and information technologies, a firm hold on global financial systems and an experience in deploying special forces in other countries, according to the Russian defense minister. “What countries, other than the United States and the United Kingdom, have this kind of potential?” Shoigu said. The defense minister added that London and Washington tested these methods in Iraq during the 1990-1991 Gulf War. “This is an important detail, because there had been the necessary technologies when the Soviet Union and a bipolar world existed, but there had been no opportunities. And, by the way, the US president at the time [of the Gulf War] was none other than George H. W. Bush, former director of the CIA,” Shoigu said. In February 2014, following months of protests over President Viktor Yanukovych’s refusal to sign an EU association agreement, the Ukrainian government was toppled. Two regions in the southeast of Ukraine refused to recognize the new government, which they believed had come to power as a result of the coup. The central authorities and the southeast of Ukraine have been locked in conflict ever since.